What binds these two men together? This riveting memoir--by turns hilarious, provocative and thrilling--answers that question in style, weaving from their stories a spellbinding tapestry of deception, desperation and defiance. Answer its call and you'll never look at a Mormon missionary the same way again. "The book grabs you on page one and never lets go. 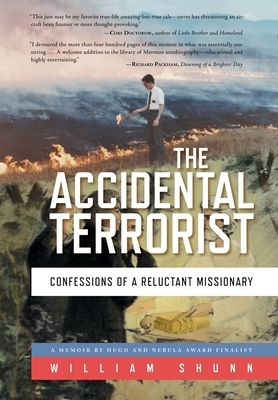 Fantastically written, beautifully paced, The Accidental Terrorist reads like a novel instead of a memoir. Only in novel form, no one would have ever believed these events could have happened. Believe it. William Shunn lived every word of this book. That he can share it so eloquently is a tribute not just to his writing skill, but his strengths as a human being." --Kristine Kathryn Rusch, USA Today bestselling author.